25 Years of "People" Books! 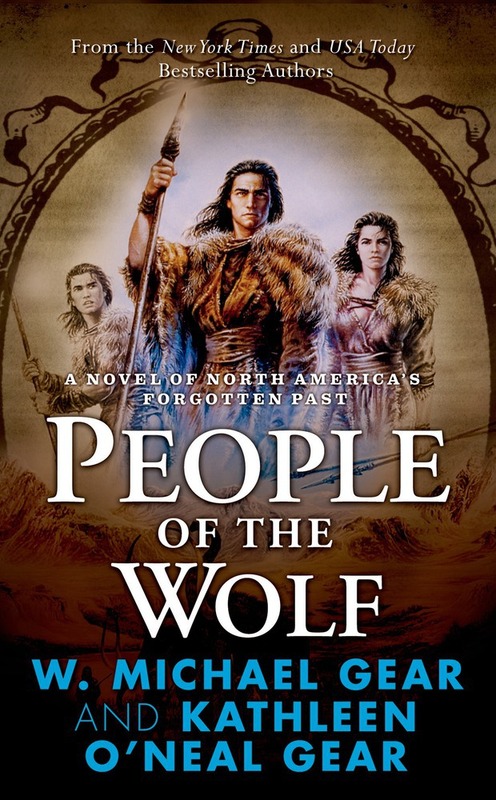 This July marks the twenty-five year anniversary of the publication of People of the Wolf. We thought we’d tell you how it came to be. Greetings! We are W. Michael Gear and Kathleen O’Neal Gear, the authors of the North America’s Forgotten Past series. While we are both academically trained archaeologists with nearly sixty years of combined field experience, it wasn’t a foregone conclusion that we would write a unique series of novels based on the archaeology of the US and Canada. It was tough going. Income was scarce. In February of 1988 we were down to our last $184.47. The cupboards and freezer were bare. Road kill along the highway was starting to look really appetizing. We loaded the truck the next day and spent a month and a half digging archaeological sites along the I-70 right-of-way across the San Rafael Swell. Back at the cabin, we had barely stepped in the door when the phone rang. “Where you been?” Tor Books editor Michael Seidman asked. We’d met Seidman in June at a Western Writers of America conference in Fort Worth, Texas. We settled on six novels. The series would focus on PaleoIndian culture, two archaic-period novels, one book each on the Hopewell, Cahokia, and the Chaco Anasazi, finishing with a California book. It was too good to be true. Somebody was finally going to let us write about what we loved. And here we are today, celebrating the 25th anniversary of the publication of People of the Wolf. The series was, and remains, unique. In many ways, we’re telling the story of a continent’s forgotten past. Our continent’s. Our peoples’. It’s twenty-two books later, and we’ve still just barely scratched the surface of North America’s amazing and rich prehistoric heritage. We owe a great debt of gratitude to our publisher, Tom Doherty, who took a chance that two archaeologists could actually write novels. The ebook edition of People of the Wolf is on sale for $2.99 until Friday. Get your copy now! I have loved your stories for the past 25 years. I have always been interested in the topic,but you have made history real with so many wonderful characters and adventures that have taken me away from my hum drum ordinary life. (I have a nice life with husband and two grown married children and four grandkids.) Thank you so much for writing these stories. Congratulations on the 25th anniversary of People of the Wolf. I look forward to many many more!